The Giants Flying at Wintonbury Flying Club in Bloomfield, CT. on Labor Day weekend. They were big, they were beautiful... thanks to all the pilots for putting up with us nosy spectators. Electric Flight Demonstrations while we were attending AMA EXPO WEST in 2017. 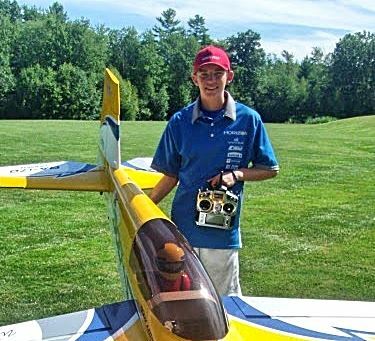 Tyler McCormack resides in Sandown, New Hampshire and was introduced to aeromodeling in 2008 at 10 years old through his local club’s AMA Take-off-And-Grow (TAG) program. He became proficient pilot through the club’s training program and a club instructor training more than 20 students. 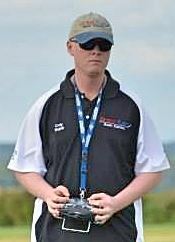 Tyler’s passion is RC Scale Aerobatics/Freestyle and as a member of the International Miniature Aerobatic Club (IMAC) he has participated in approximately 30 IMAC and 20 Freestyle sanctioned events since 2010, culminating 40 wins at various levels. . At the Nats, Tyler placed third in Advanced and first in Freestyle in 2013. In 2015, he placed second in Unlimited and first in Freestyle. In the 2014 IMAC Worlds, he placed first in Advanced class and second in Freestyle. Tyler has attended more than 100 fun-fly events, air shows, and 3-D events throughout the years including an annual trip to Joe Nall Week and the International Aeromodeling Center. Tyler currently is a student at Northern Essex Community College with plans to transfer to a bachelor’s degree program in computer sciences/engineering in 2018. JUST FOR FUN - Can a "Professional Shooter" shoot and take out a mini race quad with a pistol? Find out in this episode of Rotor Riot. JUST FOR FUN - Rotor Riot Guys and Cody fly drones and an airplane at Quincy, MA. Shipyard while visiting the USS Sea Witch! WOW! A must watch awesome flight ending routine. NEW! The Largest R/C model aircraft in the world.